We have seen many exciting changes in the roofing industry with 2018. Brand new products are being offered that claim to be more durable, energy efficient, and cost effective. With all the hype surrounding new roofing materials, how can the consumer know which product would be best for them? With this quick guide, anyone can become informed and ready to make a confident purchase. We will cover some of the most popular materials. Making up more than 70% of the roofing for single-family homes, this option remains the most popular. The asphalt shingle is very cost effective for homeowners that do not want to make a large upfront purchase. There are also a large variety to choose from and can be installed by almost any roofing company. 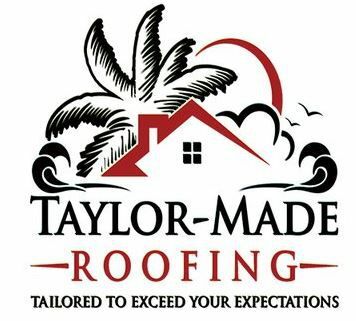 If you are in the Jacksonville Florida area, be sure to check out Taylor Made Roofing. They have years of experience with the product and can help with a fast and easy install. Unfortunately, the downside to asphalt shingles is that their popularity is starting to wane. More energy efficient and stronger materials are coming into the market, which brings us to our next option. Metal has seen a surge recently with a demand for roofing that can both last for years and remain durable for the duration of the life cycle. Metal is considered a 50 to 100-year roofing solution with warranties that extend up to 50 years. Metal also reflects solar heat which means homes in the southern states like Florida and Texas will have lower energy costs and find it easier to cool the interior. Miami Dade County in Florida has some of the most stringent standards when it comes to building codes and wind uplift. Many of the metal options including metal shingles, standing seams, and stone-coated steel tiles are designed with harsh weather in mind. If you live in an area that is prone to severe weather, feel assured that a metal roof is built for the challenge. The downsides to metal roofing would be first of all cost. Even though they last much longer, many homeowners do not have the necessary money upfront to cover the cost of a metal roof installation. Metal can also dent if you have heavy objects fall on it. Is the homeowner prepared for costly repairs when their roof has a heavy tree limb fall on it? One of the oldest options that has been updated to meet modern standards, traditional clay tiles are reinforced for a blend of both style and durability. With over 50 years on their life span, these tiles look great on homes with a Spanish/Mission flair. Mediterranean homes also benefit from the look so homeowners will want to consider it if they live near the water. The downsides to this would be the higher cost in comparison to both asphalt shingles and metal roofing. The materials are heavier and may require special installation methods that can add up. The potential for broken tiles can also complicate roof and chimney repairs. With this guide, you as the homeowner are now ready to make an informed and excellent choice with how you want to protect your biggest investment! Taylor Made Roofing is located in Amelia Island, FL also known as Fernandina Beach, FL, they specialize in residential roofs and roof repair. Taylor Made Roofing takes pride in delivering affordable roofs that will last for years to come. Taylor Made Roofing provides residents of Fernandina Beach and the surrounding area with roofing options to fit your home and budget. Taylor Made Roofing provides a variety of roofing systems to ensure the safety of your family's home and belongings. Give Taylor Made Roofing a call today for a free estimate on your new roof.